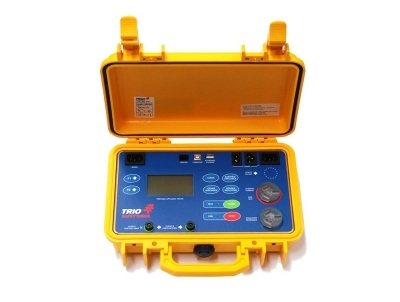 Trio SafeTcheck are an Australia company that supply a wide range of test and measurement equipment. They stand out from other appliance testers in the market through their very popular SafeTcheck series. This is because of their unique price point and distinctive tester features. Trio are the prefered tester for the Australian Defence Force. The Pro Logger PLUS is SafeTcheck's newest high quality appliance tester to hit Australia. Similarly to its predecessor the Pro Logger II, it offers RCD testing, internal memory and a keyboard. It does however now offer battery operation for better portability.